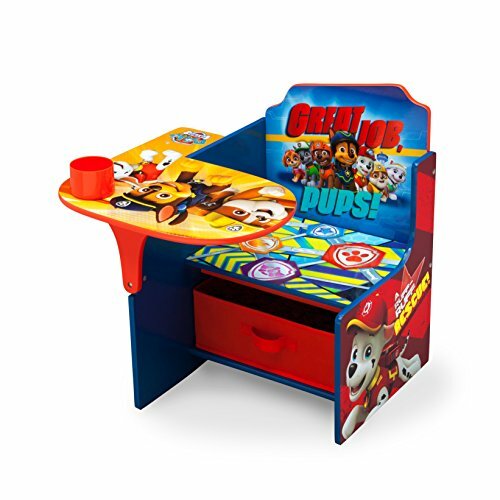 Your child's favorite canines come to life on this Nick Jr. PAW Patrol Chair Desk with Storage Bin by Delta Children. A sturdy place to sit, snack or do school work, it features plenty of storage with a bin and cup holder for art supplies. 100% HAPPINESS GUARANTEE: We design every toy to the highest quality standards, and to nurture minds and hearts. If your child is not inspired, give us a call and we ll make it right. Our phone number is on every product! 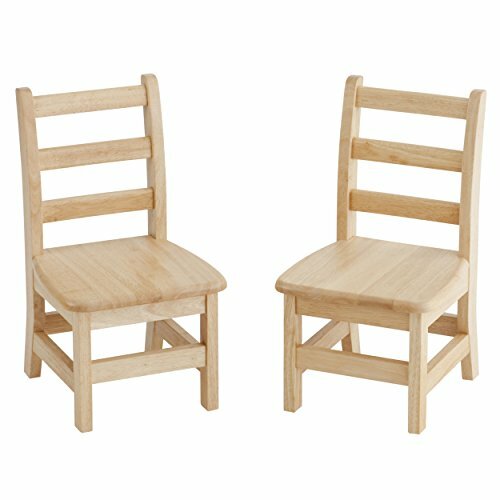 EASY-TO-ASSEMBLE KIDS' CHAIRS: The Melissa & Doug Solid Wood Chairs set of two is an easy-to-assemble wooden kids' chair set that's sized for kids from 3 to 8 years. SAFE TO USE: This playroom chairs set has been designed for safety. It's made with a reinforced, tip-resistant design and coordinates with the Melissa & Doug Table & Two Chairs set. STURDY WOODEN FURNITURE: We focus on making high-quality furniture sets for kids. We've made this sturdy wooden chair set from durable wood, with materials that hold up to 150 pounds. 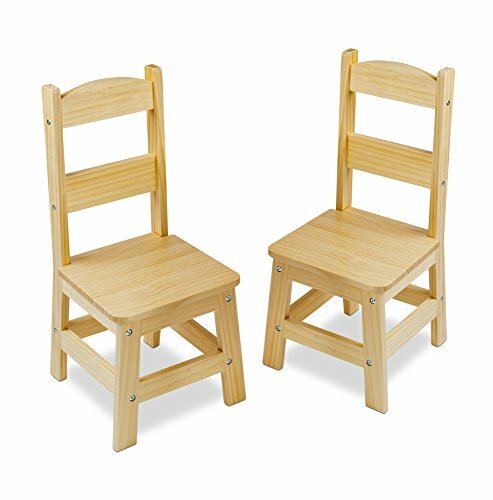 GIFT FOR AGES 3 TO 8: The Melissa & Doug Solid Wood Chairs set makes a great gift for kids from 3 to 8 years old. Add the Melissa & Doug Table & Two Chairs set to provide kids with a full set of durable furniture that's ideal for screen-free play. THE GOLD STANDARD IN CHILDHOOD PLAY: For more than 30 years, Melissa & Doug has created beautifully designed imagination- and creativity-sparking products that NBC News called the gold standard in early childhood play. Let them decide how they want the 4 sturdy, polyurethane 15 sq. cube chairs to be arranged. With each cube s ability to be either a chair with a 7 H. seat or a 9 H. seat or flipped over as a 15 H. table, they will have plenty of options. 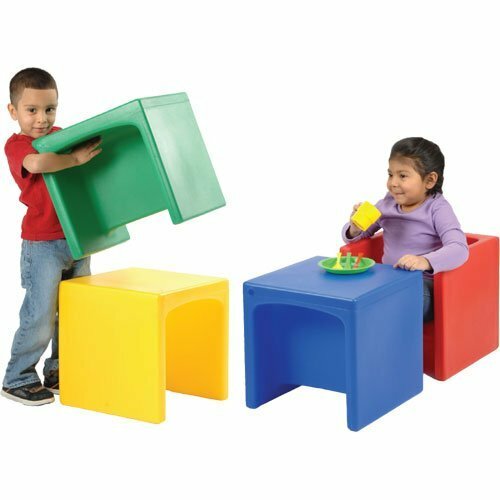 Sturdy enough to stand up to multiple years of play, these easy wipe clean cubes are light enough for toddlers over the age of 9 months to move, flip and sit. Each set includes 1 each of red, blue, yellow and green cubes. 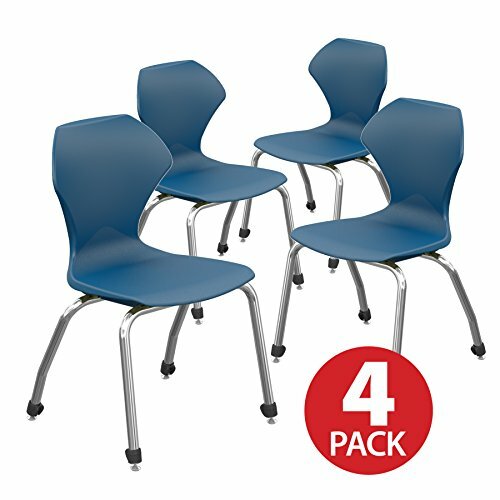 Each of these four poly cubes can be used as chairs with two varied seat heights, or (flipped over) as a 15" H. tables. Set of 2. Eco-friendly, hardwood chairs. Curved back legs to prevent tipping, leg rails on 3 sides for stability and rounded corners for safety. Natural oak finish. Sturdy mortise & tenon construction. No assembly required. 14 in. W x 13.25 in. D x 24.25 in. 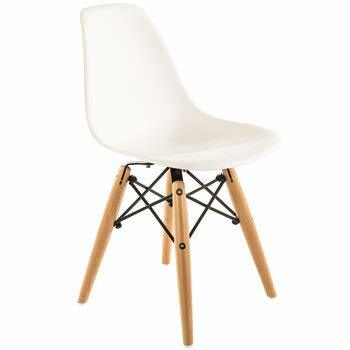 H. Seat Height: 12 in. 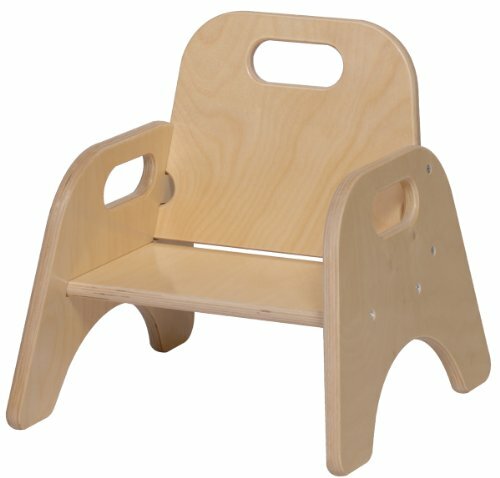 H.
Our stackable toddler chair is constructed of all birch panels. Dado construction with glue and screws. Handle cutouts. 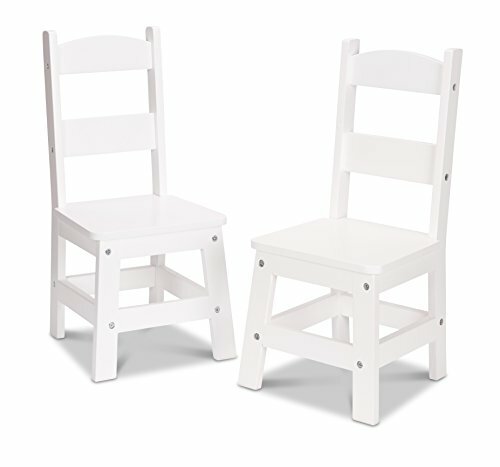 These two easy-to-assemble sturdy wooden chairs have an 11-inch seat height that's comfy for kids-plus durable pieces and a reinforced, tip-resistant design that parents can feel confident about, too. Designed to coordinate with the wooden table chairs set to make room for a foursome, they can also be used on their own to create a child-friendly seating Nook for two! available in natural, white, or Espresso. Assemble with a Philips head screwdriver, not included. 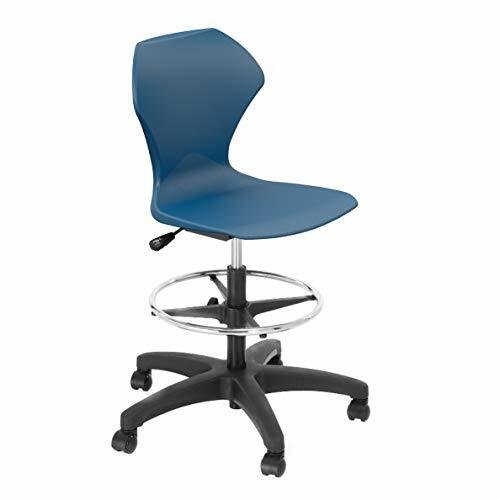 The Apex series chair is a modern and ergonomic design with a patented shape that is contoured to provide maximum comfort throughout the day. The seat has a contoured back that is shaped and angled for sitting upright or in a slightly reclined position. The front edge of the seat is swept downward for productive, over the desk task work. The stylish shape allows freedom of movement, functional support, and a great value. Warranty: 10 year manufacturers warranty. 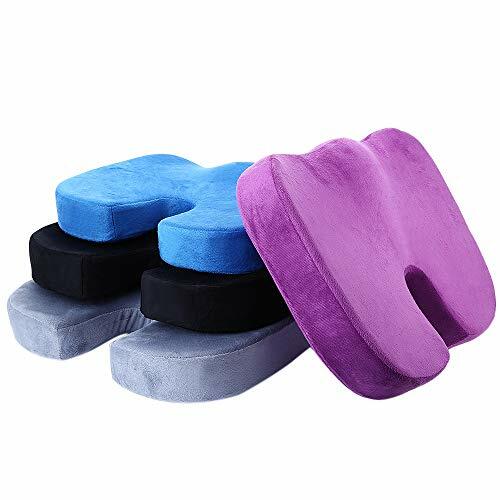 This advanced memory foam seat cushion responds to the seat of your body to mold perfectly to the shape of your bottom. U-shaped design seat cushion is recommended by orthopedic surgeons and doctors. Detachable cover design, convenient for you to take it off to wash. Relief from coccyx and tailbone pressures that last a full day of working or driving. 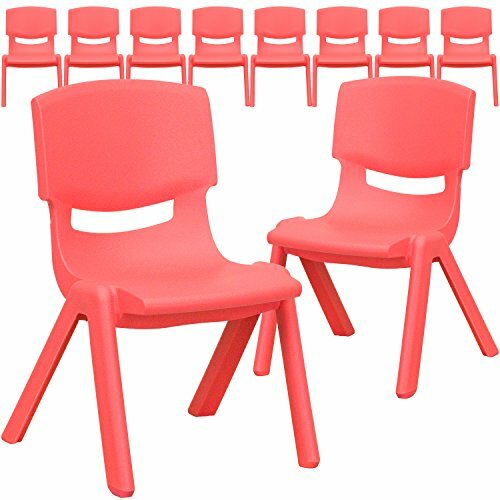 Made of high-quality material, durable to use, suitable for office chairs, cars, airplanes, and so on. Welcome to our site! 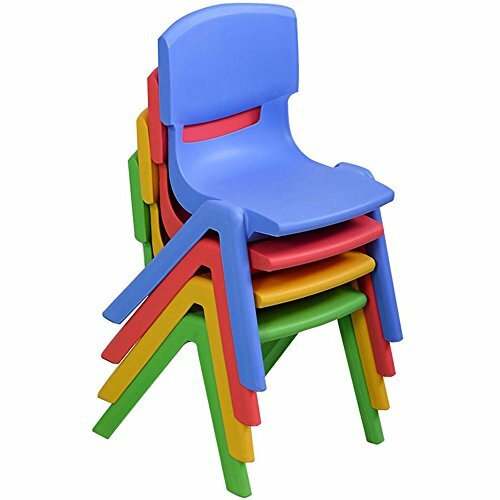 We are glad to give you a recommendation of this 4pcs High Quality Plastic Children Chairs. 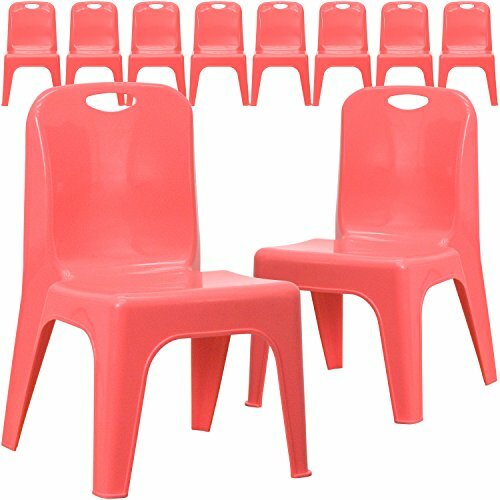 These chairs is adopts high quality plastic material, which features lightweight sturdy and durable. So, it is sturdy and safe for children to sit. Meanwhile, as to children's fitness, it is also helpful. Moreover, with ergonomic backrest, it is comfortable to seat. Furthermore, it's colorful and your children must be love it! Don't hesitate, just buy it for your beloved children!